Patrick Henry Phillips Jr. (CRD#: 1021928, Amarillo, Texas) has been a general securities representative of Allstate Financial Services since April 4, 2007. Patrick Phillips reported that a customer contested his sales practices by filing FINRA Arbitration #17-00974 on April 24, 2017. First, Patrick Phillips allegedly made misleading statements and failed to disclose important information regarding variable annuity products and stock investments. Second, Patrick Phillips allegedly gave the customer bad advice regarding the annuity products and stock investments. Evidently, Allstate Financial Services settled the customer’s claims of misrepresentation and unsuitability by paying the customer $80,000.00. Notably, Patrick Phillips personally contributed towards the settlement. Previously, Texas Securities Commissioner issued an Order #CAF-1548 censuring and fining Patrick Phillips $5,000.00. Namely, the Commissioner found that Patrick Phillips held himself out as an investment advisor representative in the State of Texas without registering with the Texas Securities Commissioner. Evidently, Patrick Phillips violated Section 12 of the Texas Securities Act. Brian Kyle Toms (CRD#: 5116130, Montgomery, Texas) is a prior Allstate Financial Services, LLC registered representative. Principally, Brian Toms disclosed on his FINRA BrokerCheck Report that a customer disputed his sales practices. Apparently, the customer’s April 30, 2018 complaint alleges that Brian Toms misrepresented the terms of employer contributions in up to seven individual retirement accounts. Specifically, he allegedly told the customer about a company matching six percent contributions when this was false. Eventually, the company determined that contributions were wrongfully made to the customers’ accounts. Because of this, the customer alleged unspecified damages. Moreover, an affiliate of Allstate Financial Services, Allstate Insurance Company, discharged Brian Toms on July 20, 2017. The firm cited Brian Toms’ unauthorized premium payments in customer accounts. 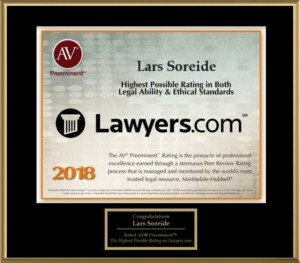 If you experienced losses by investing with Allstate Financial Services brokers Patrick Phillips Jr. or Brian Toms, contact Soreide Law Group at (888) 760-6552 and speak with experienced counsel about a possible recovery of your investment losses. Our firm has recovered millions of dollars for investors who have suffered losses due to broker and brokerage firm misconduct. We represent clients on a contingency fee basis and advance all costs.